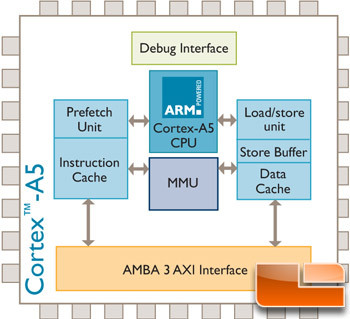 Units) by using an ARM Cortex-A5 processor with TrustZone Technology. This means that AMD is licensing ARM cores and actually integrating them into their x86 based APUs as a platform security processor. AMD told us the company’s “commitment to x86 hasn’t changed,” and that x86 is still here to stay. AMD has been working on this for some time and is going to start introducing this technology select APU’s in 2013. The first devices to see this technology should be fanless class (tablets and other small mobile devices). By the end of 2014 it will be implemented across AMD’s entire product stack. system from malicious access to data and operations at a hardware level. 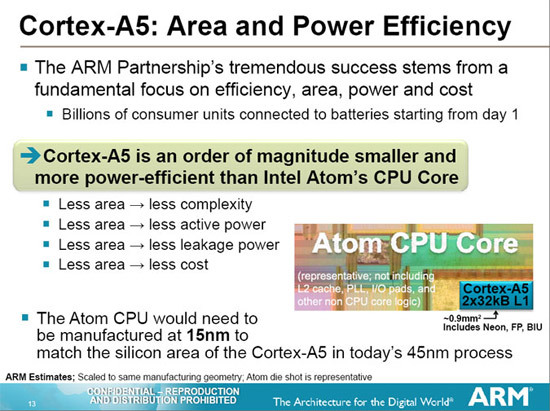 Adding the ARM Cortex-A5 cores and memory should be tough for AMD to do and it will not impact the manufacturing process. AMD informed it that it takes up a very little die space and will site off to the right side of the northbridge area. This allows it to power up first on the SoC and since the A5 processor has existing ecosystem with certified kernels it should easy to program for. 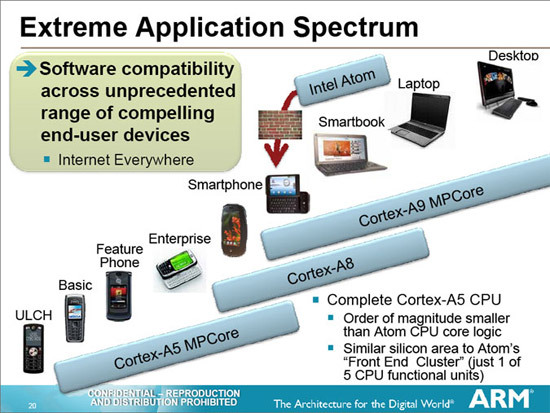 Shown above is the quad core version of the Cortex-A5. AMD did not mention how many cores will be included on for the platform security processor, but if we had to guess it would be less than four. By the time AMD releases processors with ARM IP on the we believe AMD will be manufacturing on the 28nm process, so adding just one or two cores shouldn’t take up much space at all. After some quick math on our end we would guess the area to be smaller than 20mm^2. 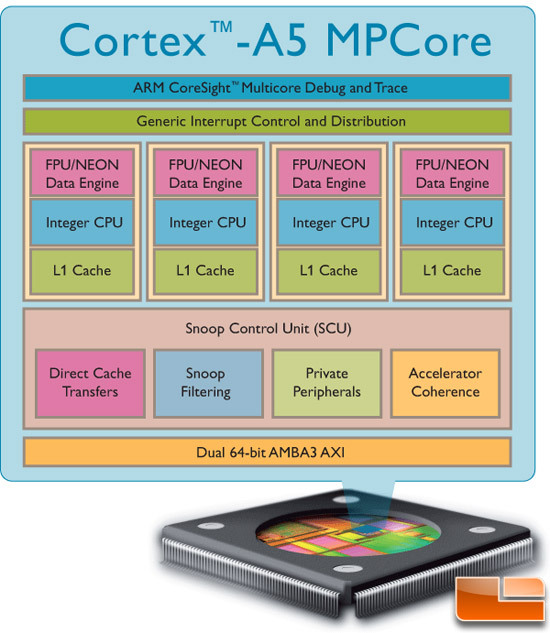 The fact that AMD will be implementing a Cortex-A5 processor into AMD APUs might come as a shock to some, but remember that AMD is moving to a heterogeneous computing business model. Using an ARM Cortex-A5 CPU that features TrustZone technology to monitor and help protect against malicious access to sensitive data and operations at the hardware level looks like a good move for the future and will likely open the door to emerging technologies like NFC. The future looks good!